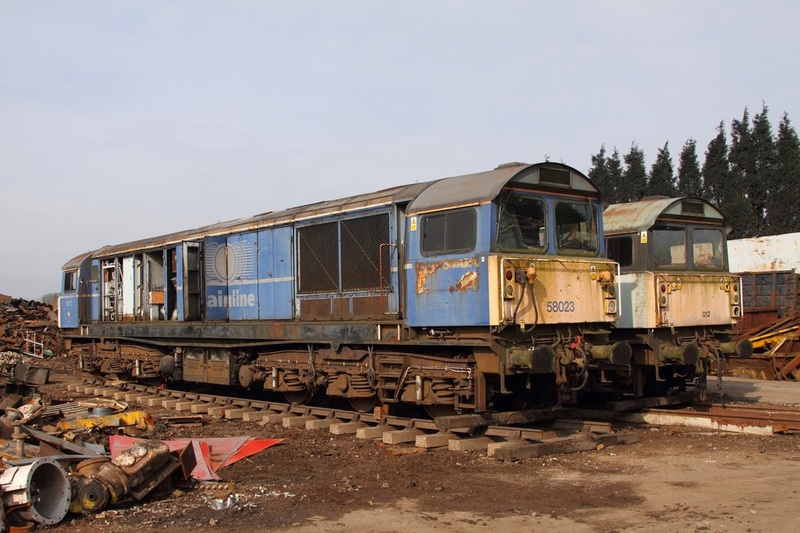 Mainline Blue liveried 58023 is parked adjacent to Mainline Grey liveried 58012 at Ronald Hulls scrap yard, Rotherham on the 12th March 2016. 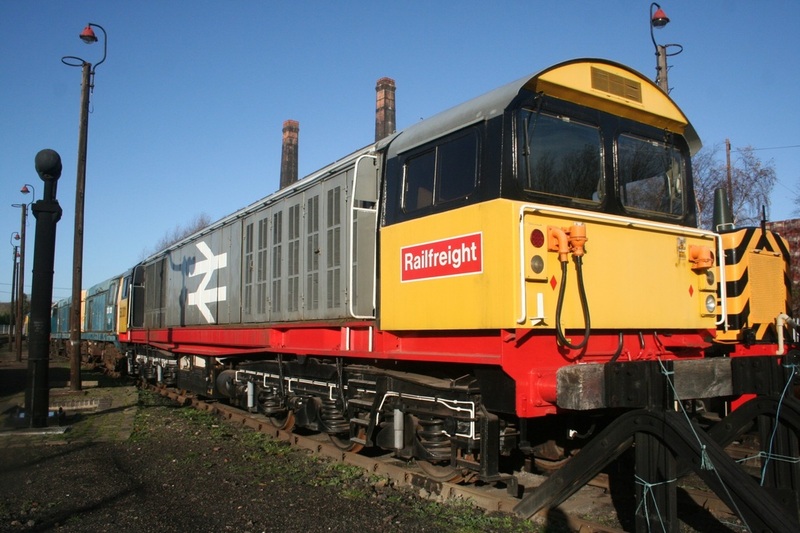 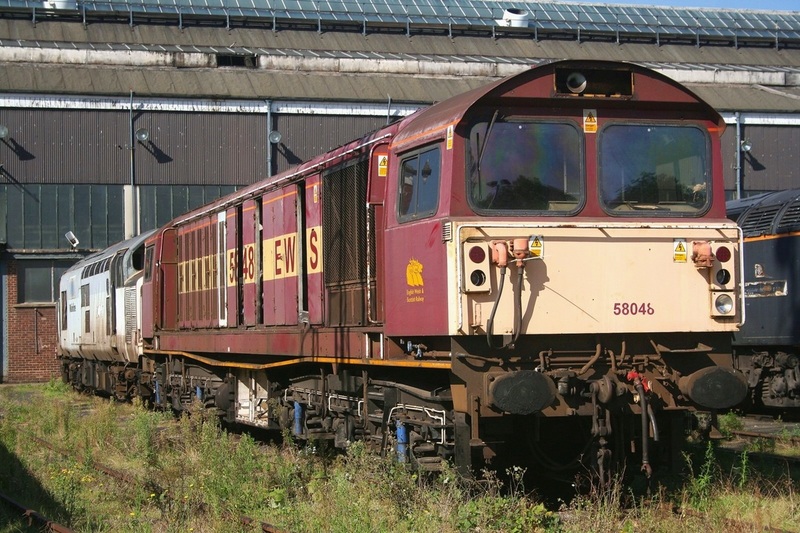 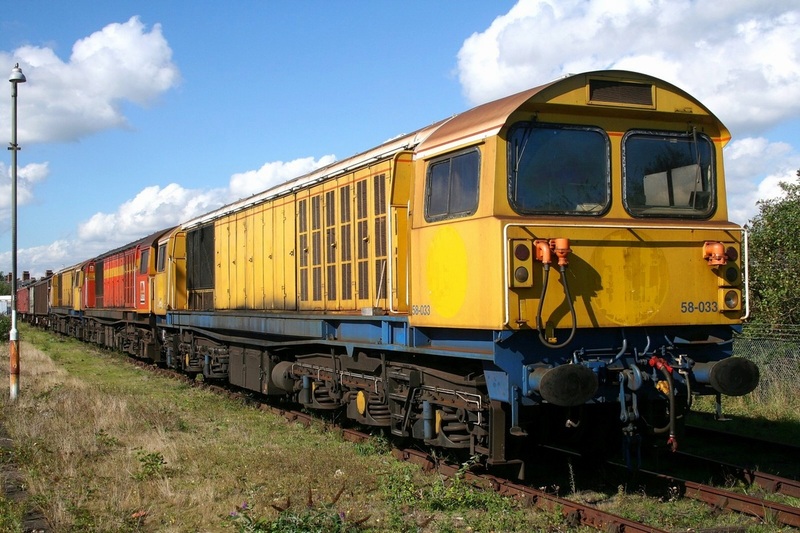 The class '58s' are from Toton depot after being put on sale by DB Schenker. 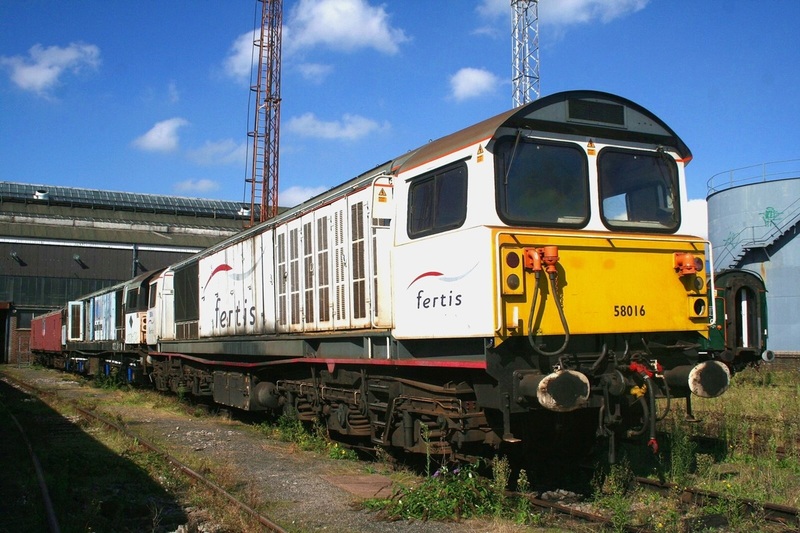 Fertis liveried 58016 at Old Oak Common on the 12th September 2006, 58016 thankfully has been saved for Preservation and is currently under restoration at Old Oak Common.